I love to travel. Last year it was Hong Kong and Singapore. Next year, I’m hoping to make the Greek Islands – snorkeling and scuba diving, and visiting those places I learned about in classical history as a teenager. But when I travel I don’t shop. 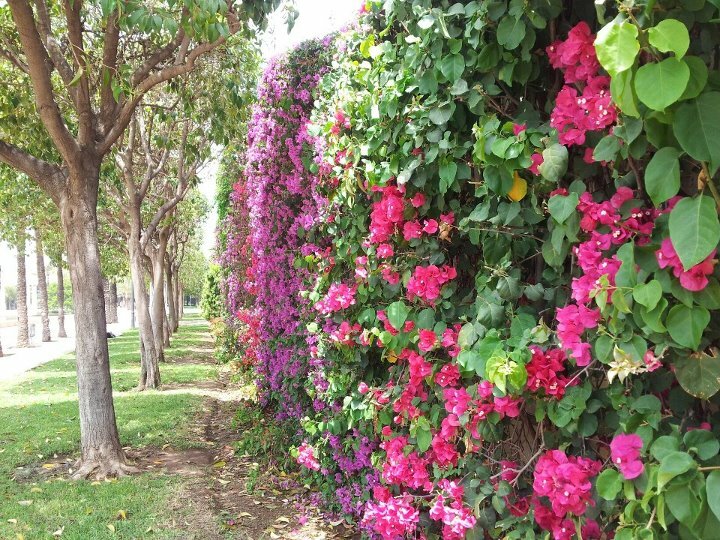 Jardin del Turia, Valencia, Spain. Walking a city can help you find unexpected beauty – and wonderful memories. Here’s why: When I’m on holiday, “logic brain” goes out of the window. I make bad shopping decisions on holiday. Everyone does. Holiday is the time many people buy muumuus in Hawaii and bad cheongsams in Shanghai. It’s that place people buy t-shirts with Egyptian motifs when they’re shopping near the pyramids and ten gallon hats in Texas, only to regret it all later. This is why I don’t shop on holiday. This is why YOU shouldn’t shop on holiday! 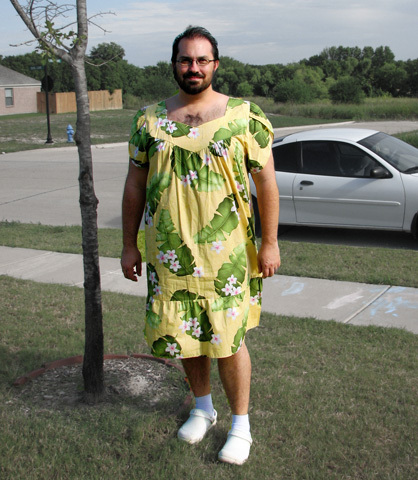 I’m sure he bought the muumuu with good intentions, but really! Travel can be an amazing experience. When I’ve travelled I’ve learned new languages, learned about other cultures and learned that people are, well, pretty much the same everywhere. We’re all human, with similar struggles and desires. I’ve been inspired and educated and humbled. Travel is not for buying souvenirs. I spend my money on experiences, not trinkets, when I travel. Instead of buying tourist rubbish I’ll eventually regret, I buy great food in out-of-the-way places. I buy tours of amazing historic sites. I spend my money on river cruises and night garden walks. I take bus rides and train rides and boat rides. I’ve been paragliding and abseiling and ziplining and in helicopters and gondolas and glass-bottomed boats and re-purposed Army ducks. I can’t think of a better way to spend my holiday money than doing these things. 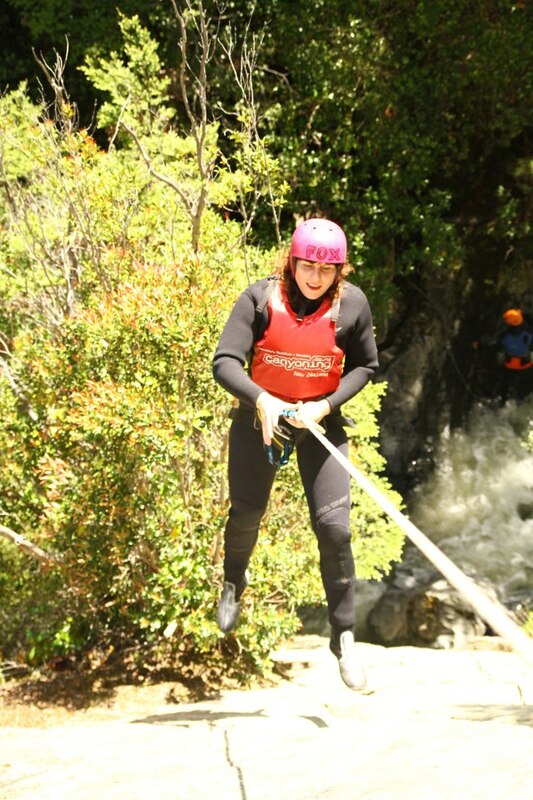 Abseiling in Queenstown, New Zealand. Life is to be enjoyed. It has all been wonderful and I don’t regret a cent of it. So next time, when you’re on vacation, don’t spend your time in the malls and the souqs and the marketplaces. By all means, go – but just look. 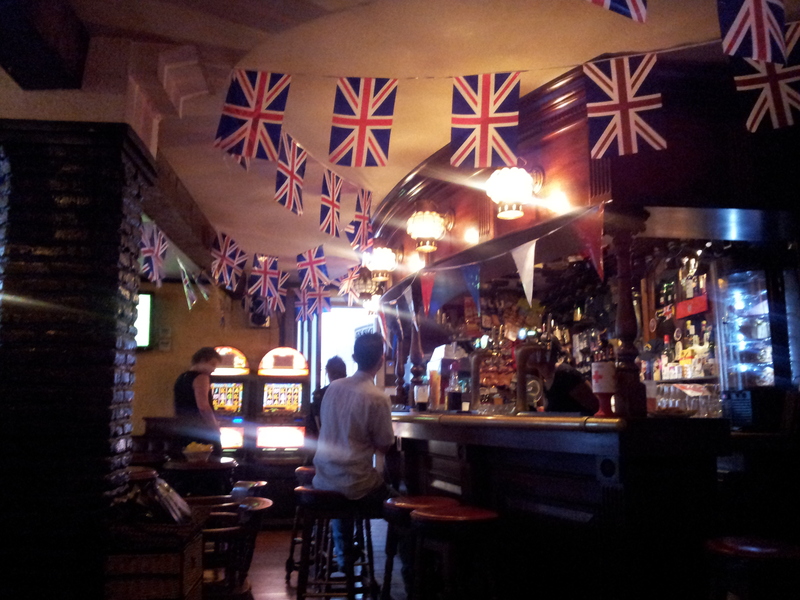 Inside a British pub in Gibraltar. I was there at the Jubilee in 2012 – and ran into Prince Edward in the street! The best travel experiences are often unexpected, and are never purchased to take home with you. Watch the people. Enjoy the atmosphere. Have a drink, or sample the local food. But don’t buy the gifts, the souvenirs, the trinkets, the tourist rubbish. Just be present. Enjoy the time you have in the place you’re in.